A blue Christmas for Microsoft and Sony? The past few days have brought sad news, with both DriveClub and Watch Dogs losing their place at the Xbox One and PS4 launch party and retreating into the safety of a 2014 release date, and whichever way you dress it up, this is a massive blow for next-gen gaming. On the face of it a couple of games slipping on their release dates shouldn't really amount to a hill of beans - but when the next generation of consoles are poking their boxy heads over the parapet, you can understand the furore. Launch titles have always been a hotch-potch of the sublime and the ridiculous, and often a canny developer's opportunity to turn what would normally be a mid-level game into a big hit. 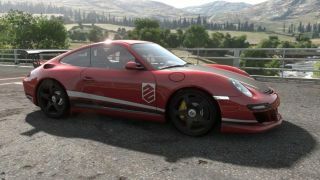 But make no mistake, the delay of PS4 exclusive DriveClub's, just days after the hugely hyped Watch Dogs public slippage, further amounts to a thorny problem for the next generation ahead of the end-of-year sweet spot. You can play the home hub card as often as you like, but the things that sell consoles are games. The launch line-up is looking increasingly threadbare as the world's joypad junkies consider whether to stick with the proven quality of the latter day releases on Xbox 360 and PS3 rather than an early and expensive move into the future. With the megalithic Grand Theft Auto 5 (still not confirmed for next-gen but highly likely) still capturing millions of gamer hours, FIFA 14's last current gen gasp arriving a significant chunk before the newcomers and, now, games that were supposed to launch with the next gen slipping forward, the argument for early adoption is far less clear. Frankly, I'll still be at the front of the queue, but the decision is not as clear cut for younger players with limited budgets and armed with the knowledge that, for a few months at least, it is unlikely they will miss out on any of their favourites by holding off. Yes, the likes of Call of Duty: Ghosts and Assassin's Creed will look (and probably play) better on Xbox One and PS4, but when you are asking for people to fork out a huge chunk of change you need to either have a massive body of games offering a bit better or a couple of titles that are transcendent. Some will point out that pre-orders were made ahead of the game slips, but these people may well not be the make-or-break group for Microsoft and Sony's 2013 sales targets. There is a tipping point for next-generation devices: the moment when you give enough reasons to invest to an audience that, although not mainstream, are much bigger as a group than those people who will early adopt regardless of the details. For consoles this group is comprised of what I'll term 'every-day gamers'. Once you start to get an Xbox One or PS4 in enough of those early adopter and then every-day gamer living rooms then you will soon swell your sales with a tertiary wave of those who like to keep up with the Jones', those that have seen the marketing and can ask their techy friends if it's worth their while, and those that just fancy buying a pricey present or treat. The next-gen consoles will hit that tipping point, but whether that will come in time for the Christmas day rush is now far more in the balance.